A plane carrying 450 immigrants from Ethiopia on Wednesday marked the end of Israel's decades-long effort to bring Jews and their descendants from the African nation to the Jewish state. About 90,000 Ethiopians were brought to Israel in the organized immigration project that began with a dramatic airlift in 1984-85 dubbed "Operation Moses" and continued with the 36-hour "Operation Solomon" in 1991. Left behind at that time were thousands of the Falash Mura, the name given to the descendants of the ancient Jewish community who converted to Christianity in the 19th and 20th centuries, most often under pressure. 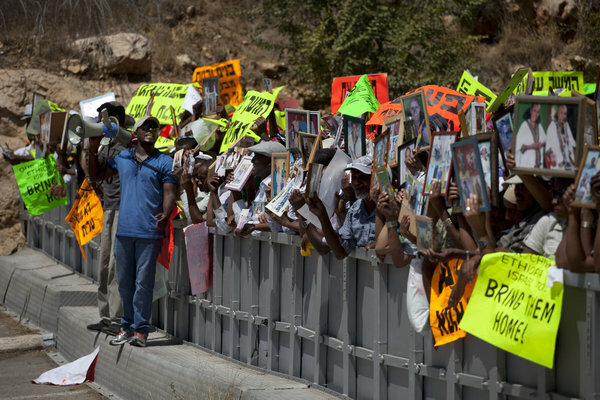 The end of airlifts left some families divided between Ethiopia and Israel.